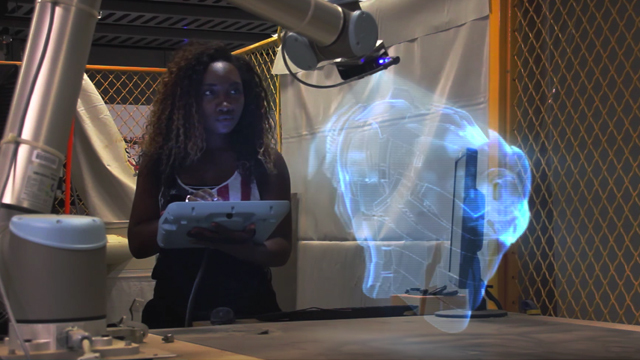 Watch as MIT Brings Marvel’s Riri Williams to Life! While it’s not exactly an official entry in the Marvel Cinematic Universe, MIT nevertheless has a cool surprise for Marvel fans. Every year, the school releases a video to announce that prospective students will receive their admission letters (famously delivered in tubes) on March 14 (Pi Day). The release of the new video also happens to be well timed for anyone celebrating today’s International Womens Day. As you can see for yourself in the player below, the video features an MIT student (Ayomide F.) in the role of Marvel’s Riri Williams, aka Ironheart! Created by writer Brian Michael Bendis and artist Stefano Caselli, Riri Williams made her debut in last year’s Invincible Iron Man #7. A 15-year-old engineering prodigy, Riri Williams builds the first Ironheart suit out of materials from MIT. At the end of the recent Civil War II miniseries, Tony Stark was left in a coma and Riri Williams stepped up to take his place as an armored hero. This isn’t the first time that MIT has featured a Disney character in one of their Pi Day videos. Last year’s video saw Star Wars: The Force Awakens‘ BB-8 helping out with the tubes. What do you think of MIT’s Riri Williams video? Let us know in the comments below!